Today, we’re talking with LSATMax, a course by Harvard Law grads that you can get right from the Apple App Store. Could you talk a bit about LSATMax: What’s your philosophy? What type of instruction do you offer? How are you different from other LSAT prep courses? Current LSAT prep courses have three main vices: they are outdated, inefficient, and, the kicker, they are overpriced. These are three characteristics that tie most LSAT prep courses together, save LSATMax. Our philosophy is to use the latest technology to break down not only the financial barrier to LSAT prep, but the geographical one as well. Access to high-quality LSAT prep should not be limited to those students who can afford to shell out $1000+ and who happen to live in select urban areas that actually have high-quality in-class prep options. What about all those students who don’t live in big cities and who don’t have money trees growing in their backyards? With LSATMax, we offer access to affordable, high-quality LSAT prep anywhere you are. How are we able to do this? We are an app! We’re talking about an app that helps you prep for the LSAT. The LSATMax app is just like Angry Birds. 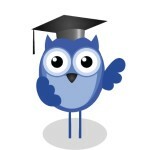 That is, if Angry Birds was an exceptional LSAT prep course. But, really, it’s simple: LSATMax is better, cheaper and more convenient. How are we better? All of our content was created by Harvard Law School alumni and delivered by instructors who scored in the 99th percentile on the LSAT. Cheaper? The LSATMax full course is just $499 (on sale for $249 until 1/18). More convenient? Because let’s be honest, convenience is key in our high-pressure, short-on-time world. Every student is different: some students are night owls while some are early birds. What makes us more convenient than other LSAT courses is that we don’t place any time constraints on our students. At LSATMax, our students are in complete control of their LSAT prep experience. Each LSATMax student can go at his or her own pace. They don’t have to feel rushed or held back by the pace of the entire class. They decide when is best for them to listen to each lesson, and whether they’d like to repeat the lesson or move on. They have the control to pause the lesson and continue again when they are ready. They can watch and listen to our whiteboard video lessons in any time zone and for any amount of time that they’d like. Also, no Internet access is required to use LSATMax, so our students have the added benefit of literally studying wherever they want! Not only do students worldwide have access to our course, but they also have access for life. Again, we do not believe in limiting our students’ access to the course. With LSATMax, students don’t have to feel rushed. You only have to pay once for LSATMax and that gives you access until YOU are done studying for the LSAT. The app also tracks your progress, so that you know exactly what areas you still need to work on. So in summary, LSATMax acts as your personal LSAT trainer. What type of student is most likely to benefit from taking an LSATMax course? Though it may seem like we’re cheating with this answer, we’d have to say every student interested in maximizing his or her LSAT score would benefit from using LSATMax, especially because the app is FREE to download and includes a lot of free content. We stand behind our course, and that’s why we offer free content when you download our app. We want all students to see firsthand what we have to offer. Students who are looking for a comprehensive LSAT prep course can purchase our full course. Students who are looking for a supplement can purchase individual sections. LSATMax provides the option for each student to customize his or her prep course. If you’d only like an in-depth tutorial on the Logic Games or a few LSAT practice exams, we have an option for you. For this reason, we believe our course can benefit every student, whatever his or her specific needs may be. The simple answer: students who lack the discipline to study on their own. However, if a pre-law student lacks this discipline, he or she will most likely struggle, regardless of which LSAT course he or she chooses. 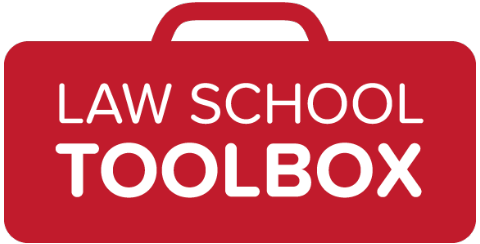 A prevalent and highly erroneous assumption of many pre-law students is that merely attending an LSAT course is sufficient to doing well on the LSAT. Unfortunately, no matter how splendid it would be, being in the same room as your LSAT instructor will not magically make you score higher on the LSAT. This isn’t osmosis; your instructor’s LSAT score will not transfer over to you through contact, though I’m sure many have tried. Studying for the LSAT is active, not passive. Think of it like this: Studying for the LSAT is like renting a movie in the 90s. There’s no Netflix. You can’t just watch or rent the movie you want with the click of a button. You have to put in work. You have to get up off that couch, drive over to the nearest store and rummage through those aisles of endless videos to finally find the movie you want. You have to actively rent the video and then drive all the way back to your home and watch it. There’s no instant queue when it comes to the LSAT, people! We think the top three things to consider are: (1) instructors, (2) content, and (3) length of access. The instructor is key. The instructor is your Jedi trainer. Without the right Jedi trainer, a Padawon (Jedi-in-training) who has lots of potential will lose the force within him or herself. Just look at what happened to Anakin Skywalker (*spoiler alert* he became Darth Vador)! Obi-Wan, though a formidable Jedi Knight, just wasn’t one of the best trainers available. It’s as simple as that: mediocre Jedi Trainer, mediocre Jedi. Enough with the Star Wars metaphor; the bottom line is that instructors are key. At LSATMax, we make sure our instructors are the best out there — all of our instructors have scored in the 99th percentile on a real LSAT exam. As for content, make sure the course you select only uses REAL LSAT questions in the course materials. All the questions in LSATMax are real previous LSAT questions licensed directly from LSAC. Studying with made-up LSAT questions will be to your detriment. Lastly, consider the length of access. Almost all LSAT prep courses limit the time students have access to 2- or 3-month windows, and then charge them again if they are not ready to take the LSAT and want to continue preparing. So not only are such courses overcharging you to begin with, but they are also placing narrow time limits on your access to the materials they provide. Limiting students’ access to a specific period of time is problematic for a number of reasons. 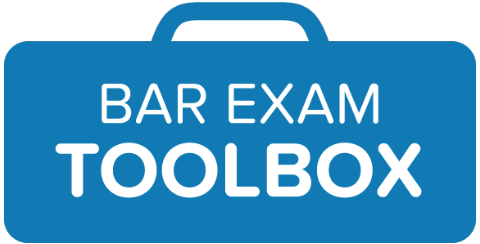 Some students may feel that they should be ready to take the LSAT when their prep course has finished (especially since they will no longer have access to study materials). This is not necessarily true. Every student is different, and since the LSAT is testing a way of thinking (as opposed to mastery of a specific subject matter), some students require more time to prepare. As we discussed earlier, with LSATMax, time is on your side. We do not believe in limiting our students to any timeline that is not their own. It is important to remember that every student is different. A good LSAT score is subjective. Figure out where you want to go to law school and determine the LSAT score that you need to have a realistic chance of gaining admission to that school (i.e. the 25th-75th percentiles). DO NOT take the LSAT until you are consistently scoring well within the range of that score on your practice LSAT exams. Law school is a huge investment of your time and money. You do not want to settle. Plus, even if you do not want to go to a top law school or you (mistakenly) believe that your GPA might carry you pretty far by itself, the higher you score on the LSAT, the better your chances are at merit-based scholarships, which will reduce the amount of debt you will have after you graduate from law school. Practice & Review. I know these are two, but reviewing should be a part of your practice. Every time you finish a section or a test, you should review it. Review ALL of the questions, even the ones you get right. Some students only review the questions that they miss. But, it’s actually imperative that you also look at the questions you got right. Ask yourself, why did you get this question right? What are you doing differently on this question than on a question that you’ve missed? Figure out what makes that answer correct and try to apply it to your strategy on other questions. Did you answer correctly for all the right reasons, or just because of a lucky guess? It’s important to analyze your work. Remember, the LSAT is testing a way of thinking. You must restructure the way you process information on the LSAT, and analyze how you are reading and answering the questions. You should take something away from each question you complete and apply that to future questions. By understanding why every correct answer is correct and why the other four answer choices are incorrect, you will start to uncover the underlying patterns of the LSAT. Read to Achieve. It seems that for many students the reading comprehension section of the LSAT is the biggest hurdle. Here at LSATMax, we’ve seen that reading for fun actually helps hone your innate reading comprehension skills. That’s why LSATMax’s full course includes a 12-week subscription to The Economist. The Economist consists of a series of short, dense articles on topics that are often unfamiliar to students. For this reason, it’s a good resource to use in cultivating and honing the reading comprehension skills likely to help you on the LSAT. Download LSATMax. Again, the LSATMax app is free to download and comes with a lot of free material. Broaden your horizons and see how we can make your LSAT prep better, cheaper, and much more convenient! We would like to offer the readers of The Girl’s Guide to Law School a free 14-day trial of LSATMax’s full-course with absolutely no strings attached. If you have any other questions or concerns, please do not hesitate to contact us at any time. Thanks for the tips and for the free trial offer! Good luck to everyone studying for the LSAT. Thinking about applying to law school? Be sure you’re on our weekly mailing list, so you can get all the info you need for a successful application! Sign up here. And check out Applying to Law School 101 for tips on all the pieces of your application, and Should I Go? to figure out if law school’s really the right choice for you! Is there a code for the discounted price? It’s “girlsguide” (see instructions in the final paragraph). If that’s not working, let me know and I can follow up with them!